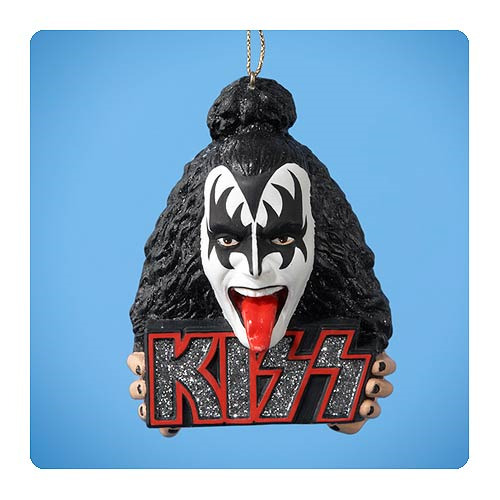 Shopping for KISS Holiday Ornaments? Awesome KISS holiday ornament! Gene Simmons as the Demon! Can you imagine this on your Christmas Tree? It'd be awesome! Gene Simmons bust looking as evil as he can and holding the KISS logo! Get one! Ages 14 and older.